The husband of a woman with terminal cervical cancer has said he cannot understand why no one will put their hands up and say mistakes were made. The man told the High Court he is scared about the future, worried about their two children and under stress and pressure that he and his wife should not be under. 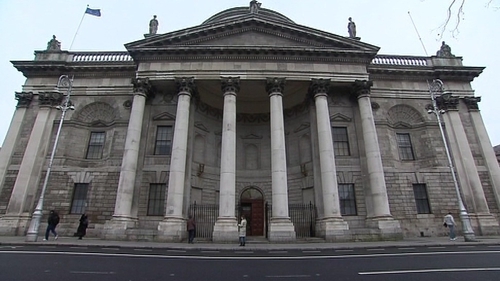 The man and his wife, who is in her 40s, are suing the Health Service Executive and three laboratories over the alleged misreading of a cervical smear test in 2010. The woman was diagnosed with cancer in 2015, subsequently diagnosed with incurable cancer and given a prognosis of between 12 and 22 months to live. Her experts say the smear test taken in 2010 under the CervicalCheck screening programme clearly showed high grade abnormalities. They say that if the test had been read correctly, the woman would have been treated and would have had a 95% chance of being successfully cured. The man told his counsel Hugh O'Keeffe in evidence that when his wife's cancer recurred in 2017, he was heartbroken. He said she lost her hair as a result of the chemotherapy and he said their children did not really understand the situation. When the controversy over the misreading of smear tests became public after the Vicky Phelan case last year, he said the couple thought they would get help. But he said there was no contact at all from anyone, and he felt very disappointed and let down. Asked what he saw in the future, the man said he did not know what future they would have. He was scared and worried about their children and whether he would be able to look after them. In relation to the HSE's denial of liability, the man said he could not understand why no one would put their hands up, admit mistakes were made and fix them. The court heard the woman had begun to feel ill again recently and had another scan on Monday. The man told the court he was very scared about the outcome of this scan. Yesterday, the woman's lawyers told the court that going through mediation with the HSE was a fool's errand and a waste of time, in circumstances where the Executive was refusing to accept any liability for errors made by laboratories in reading slides for CervicalCheck. This followed a request by lawyers for MedLab Pathology and an associated US laboratory for mediation. Senior Counsel Patrick Treacy told the court it was the HSE who had decided to put the cancer screening in the hands of multinational companies.